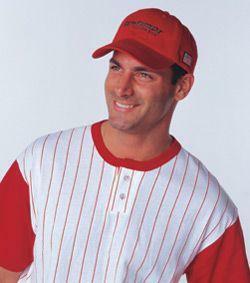 A tremendous value with buckram lining the front panels for ease of embroidery and shape retention. 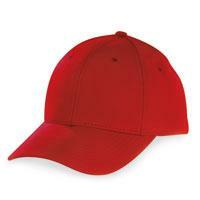 100% cotton, 6-panel construction, structured, mid profile; self-fabric overlapping Velcro closure and a fashion-curved bill. 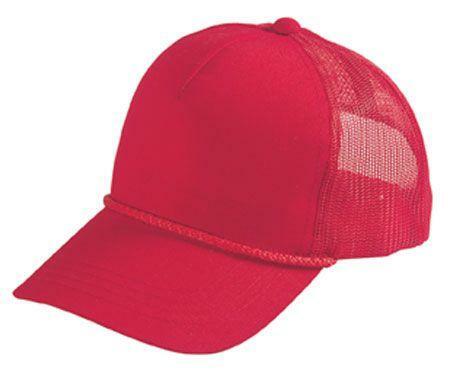 100% cotton twill, 5-panel construction, structured, mid profile; self-fabric overlapping Velcro closure, stitched eyelets and a fashion-curved bill. 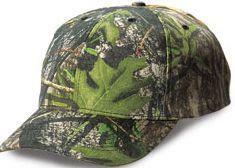 Five-panel construction leaves a clean canvas for print or embroidery. 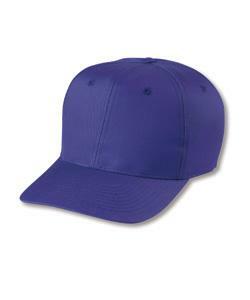 Subtle contrast color inside the bill makes it a perfect complement to your logo. 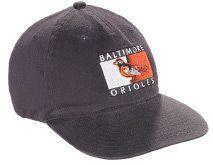 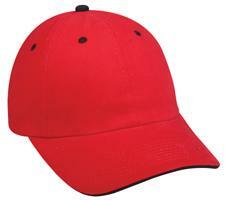 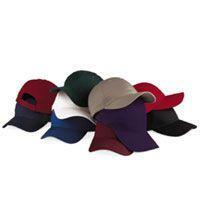 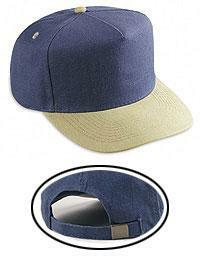 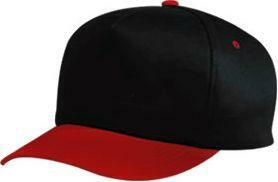 100% cotton twill, 6-panel construction, structured, mid profile; Velcro closure, stitched eyelets, fashion-curved bill. 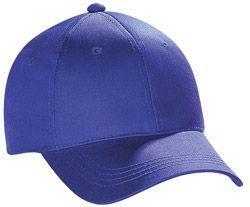 A great value! 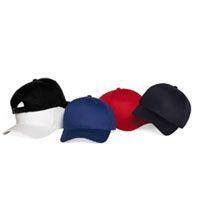 5 panel seamless front cap with buckram backing. 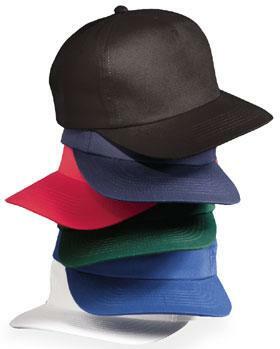 Plastic closure. 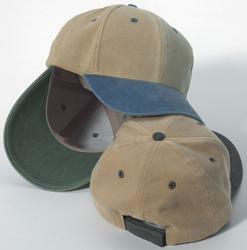 6 panel, Brushed Cotton Twill, Structured, Pre-curved Sandwich Visor, Adjustable Velcro Closure. 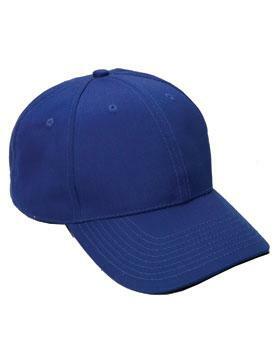 100% polyester mesh athletic cap. 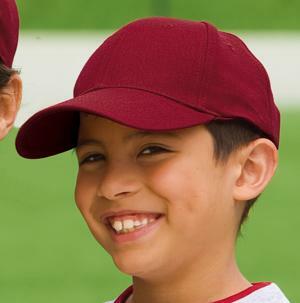 31/4" structured crown. 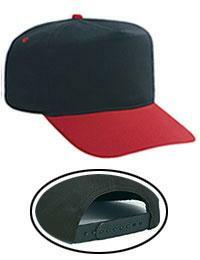 Adjustable loop tape closure. 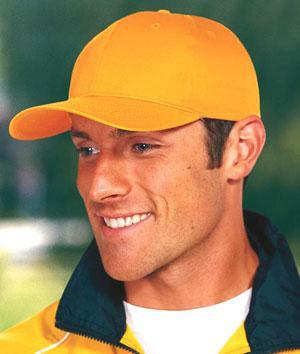 Pre-curved visor. 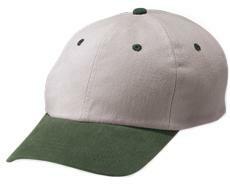 100% lightweight brushed cotton twill cap. 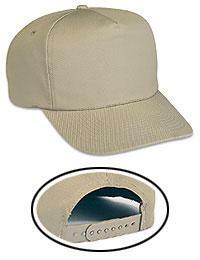 Six-panel, low profile. 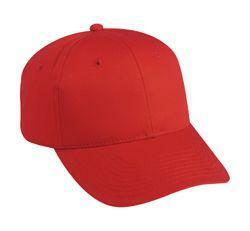 Structured. 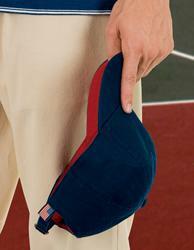 Sewn eyelets. 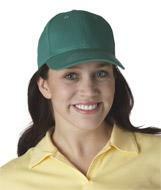 Adjustable back with Velcro closure. 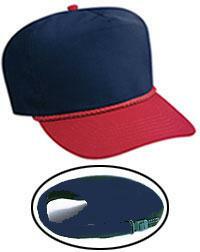 Pre-curved visor. 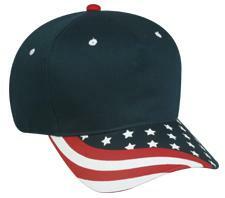 Deluxe 4 stitches sweatband Black/stone pictured Other colors available. 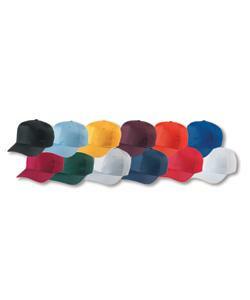 Call for help with ordering. 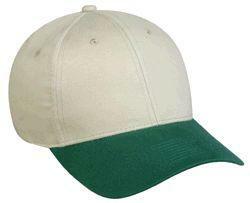 100% heavy brushed cotton. 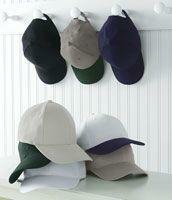 Six panel unconstructed crown. 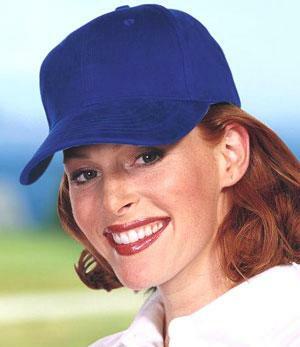 Pre-curved visor. 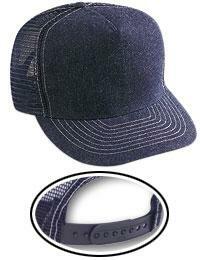 Self fabric closure with shoe buckle. 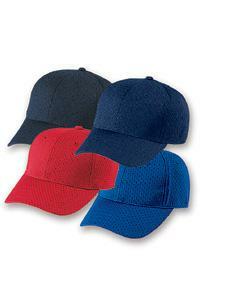 85% polyester/15% wool blend cap. 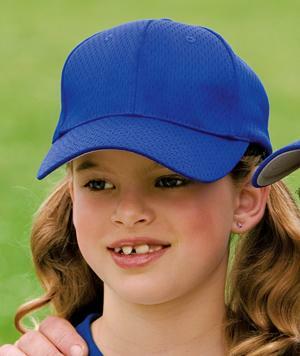 3 1/4" structured crown. 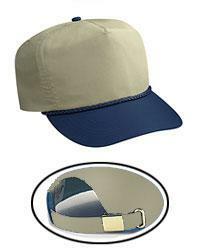 Adjustable loop tape closure. 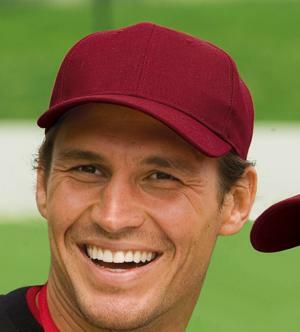 Pre-curved visor. 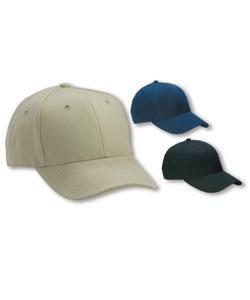 75% cotton 25% polyester poplin, 5-panel, seamless front, thick 1/4" braid, matching plastic adjustable strap, undervisor, eyelets and top button. 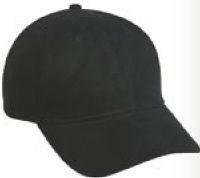 6 panel low profile cotton twill, solid or contrasting pre-curved visor, button and eyelets, fused buckram, plastic snap closure. 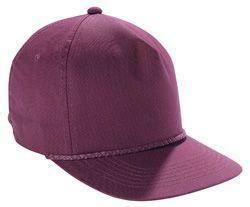 Six-panel 100% cotton twill cap. 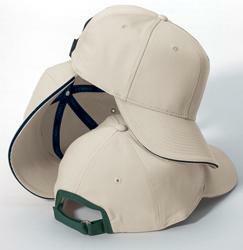 Structured (buckram in front), low profile, pre-curved visor with pro-stitch. 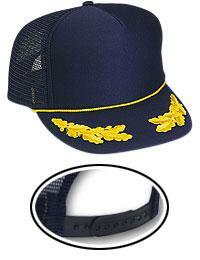 Matching top button, six sewn eyelets, Velcro back strap. 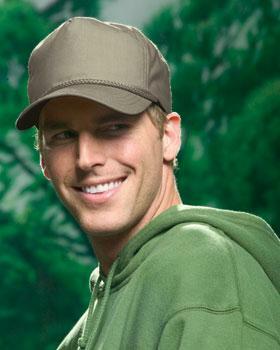 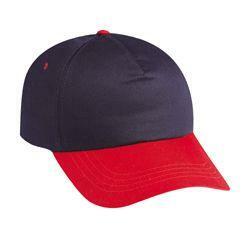 The soft feel of brushed twill on a cap that keeps its great looks wear after wear. 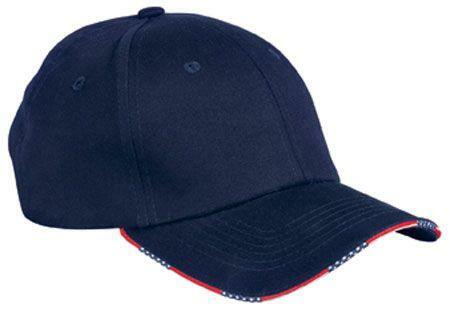 100% cotton brushed twill, 6-panel construction, structured, mid profile; self-fabric adjustable closure with grommet, stitched eyelets, fashion-curved bill. 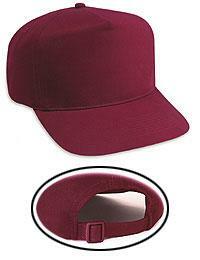 6-panel unstructured cap with pre-curved visor. 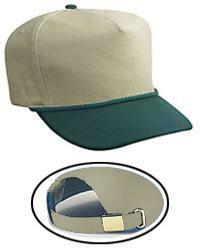 Fabric closure with adjustable brass buckle. 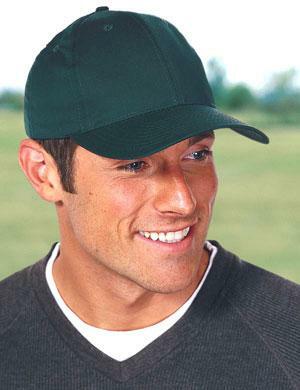 Featuring deeper crown for the best possible fit, 100% cotton, 6-panel, Medium profile, Pre-curved bill, Matching velcro closure, 4"W x 2.5"H imprint area. 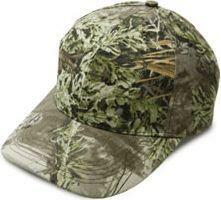 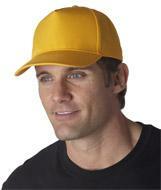 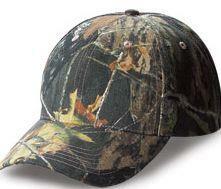 85/15 polyester/wool structured 6-panellow-profile with plastic strap, visor has green underbill. 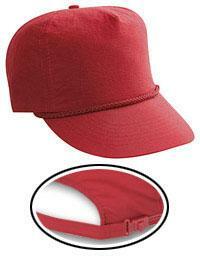 6-panel unstructured cap with pre-curved visor. 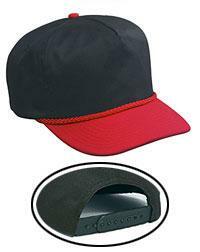 Fabric closure with adjustable metal buckle. 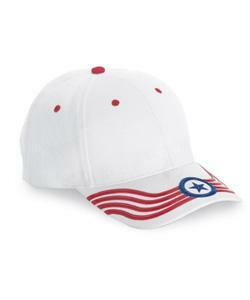 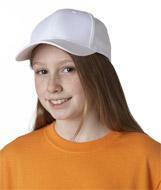 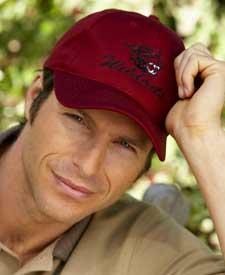 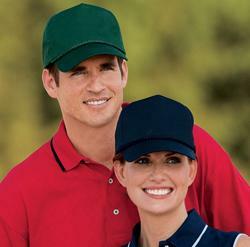 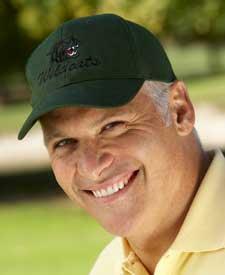 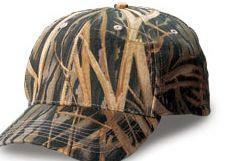 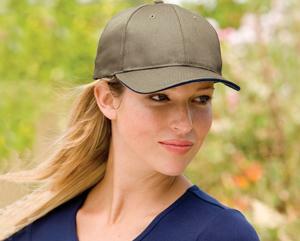 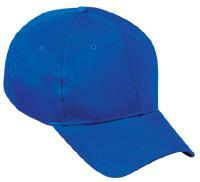 Fine twill provides a wonderful feel and added polyester makes this cap a great performer. 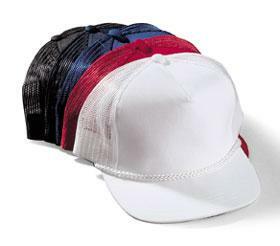 65/35 poly/cotton, 6-panel construction, structured, high profile; self-fabric closure with grommet, stitched eyelets and a fashion-curved bill. 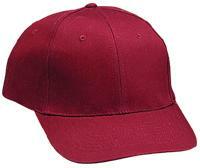 Buckram lining in the front helps cap retain its shape. 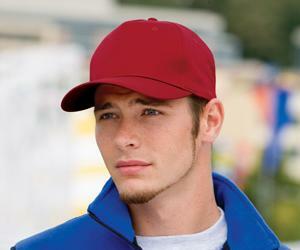 The high profile construction provides a large embroidery surface. 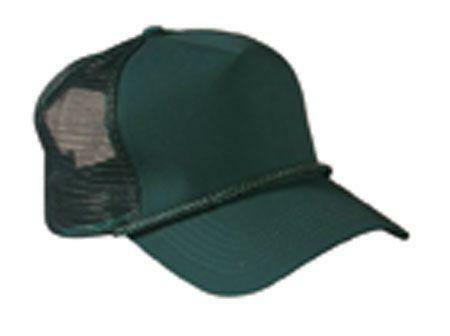 Featuring deeper crown for the best possible fit, 6-panel, Medium profile, Pre-curved bill, Adjustable matching closure with brass snap-buckle, 4"W x 2.5"H imprint area. 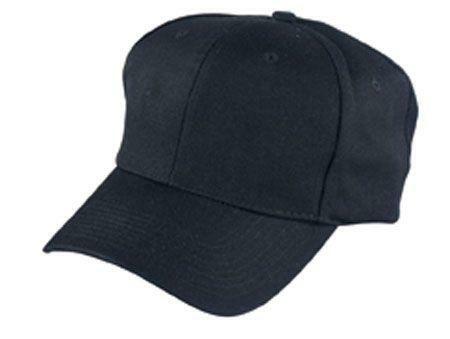 Available in: Navy Navy/Gold Navy/White If you want the navy/gold or navy/white just order the navy and put those instructions in the order\'s comments or notes on the shipping screen.